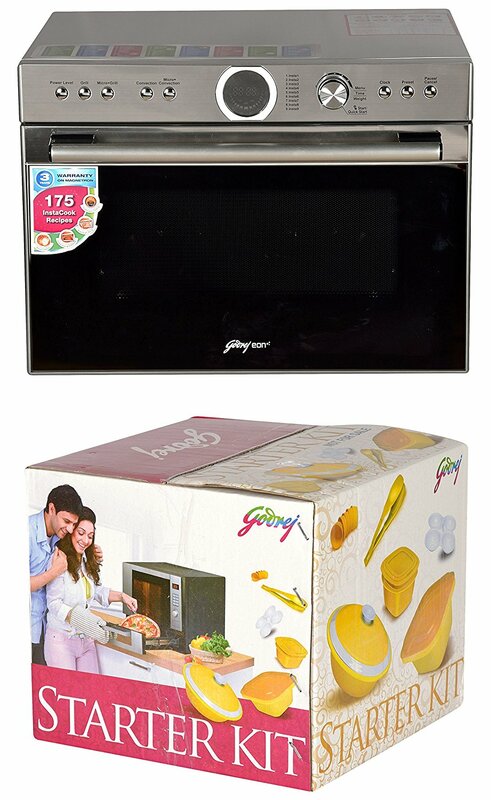 Godrej 34 L Convection Microwave Oven (GME 34CA1 MKZ) comes with advanced features for easy meal preparation at home. The highlights are 11 power levels, stainless steel cavity, multi-stage cooking, preset cooking, express cooking, child lock, auto protection, auto deodorizer and auto reminder. 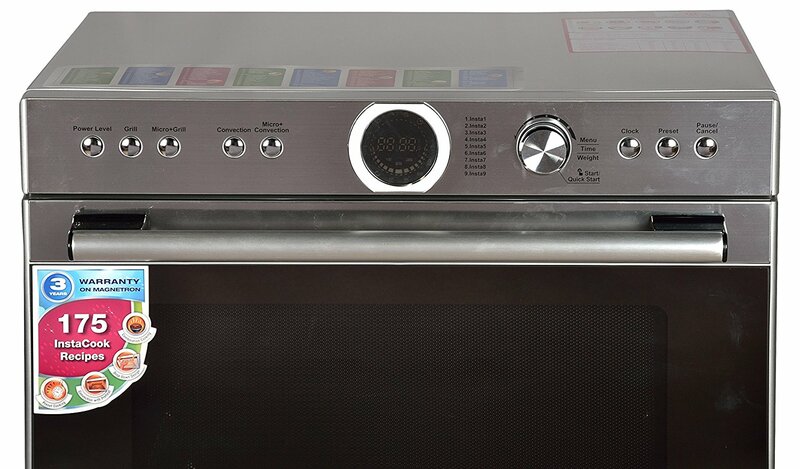 The 11 power levels in Godrej 34 liters microwave oven allow you to prepare meals on a specific power level. So you have the flexibility to choose the power level that is right for your preferred food items. 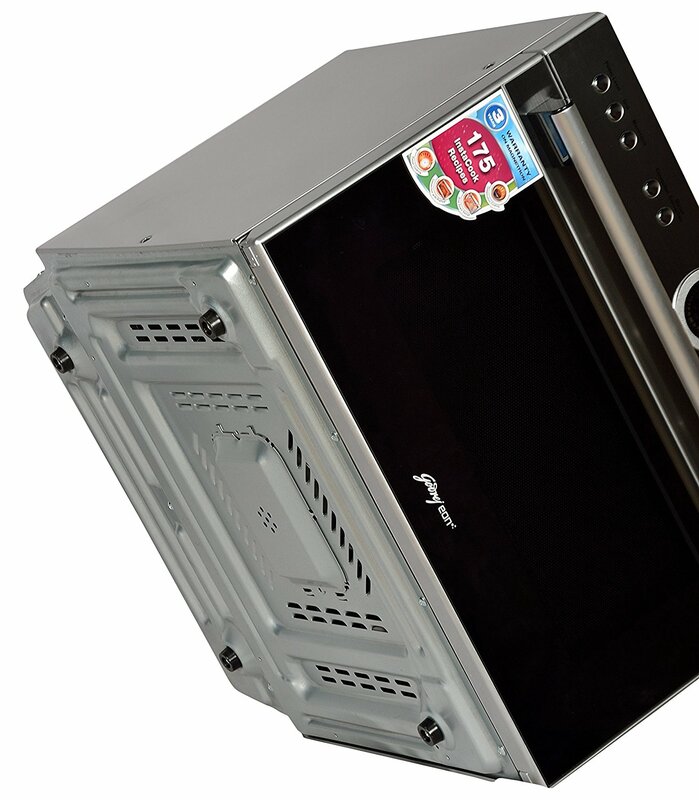 On the other hand, the stainless steel cavity is highly reflective and very easy to clean and hygienic as well. It also delivers faster and even cooking and increases the overall life of the interior also. 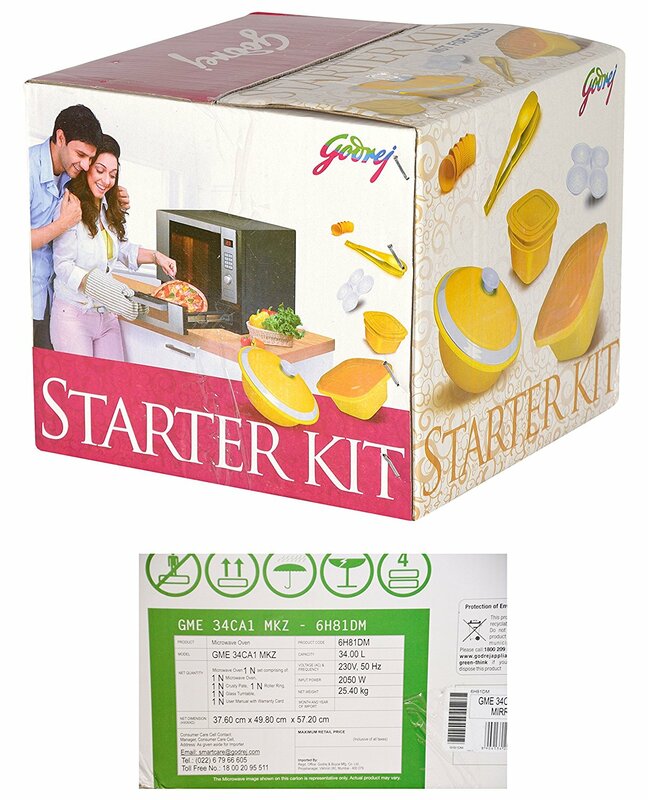 Godrej 34 L Convection Microwave Oven (GME 34CA1 MKZ) comes with multi-stage cooking feature that lets you set up to 3 stages of cooking. After setting the stages, the unit will cook food automatically as per the sequence of modes are set. On the other hand, the express cooking feature lets you start the microwave oven without setting the power and time. So that you can start cooking on a touch of button. This feature is very helpful when you are in hurry or you want to heat something very quickly. The preset cooking lets you set the microwave to start cooking at a later time. You can easily pre-program the microwave to start cooking at a later time and you can devote your precious time to other important works. Further, the child lock feature allows the machine keys to be locked during the operation. It is really very helpful to prevent children from making changes to the microwave oven settings. Since it comes with auto protection feature so the unit will automatically shuts down and gives an error message if any malfunction is detected. This feature is really very helpful to protected you from any accident happening. 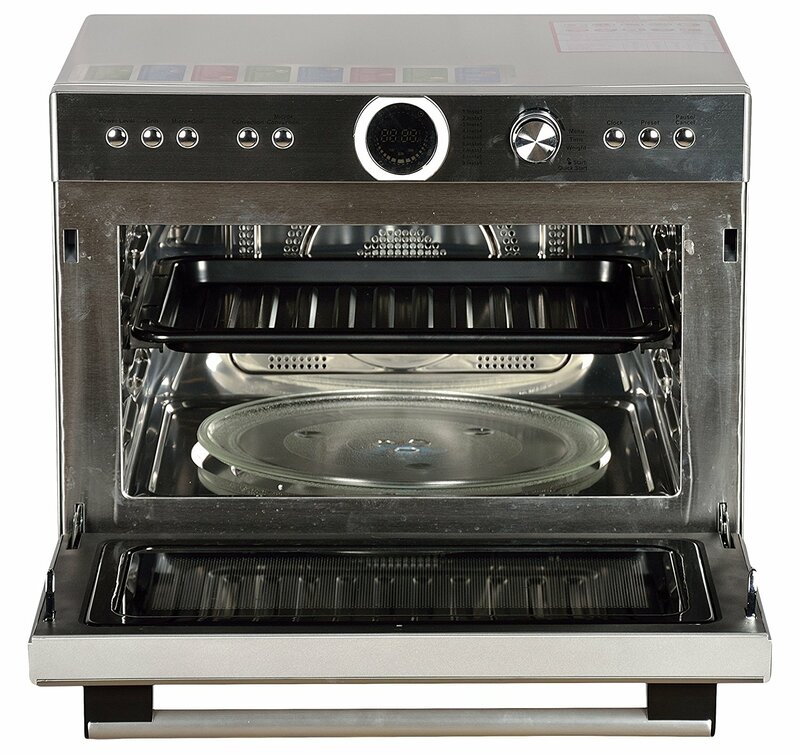 The auto deodorizer feature removes odour and vapours from the microwave oven after cooking. 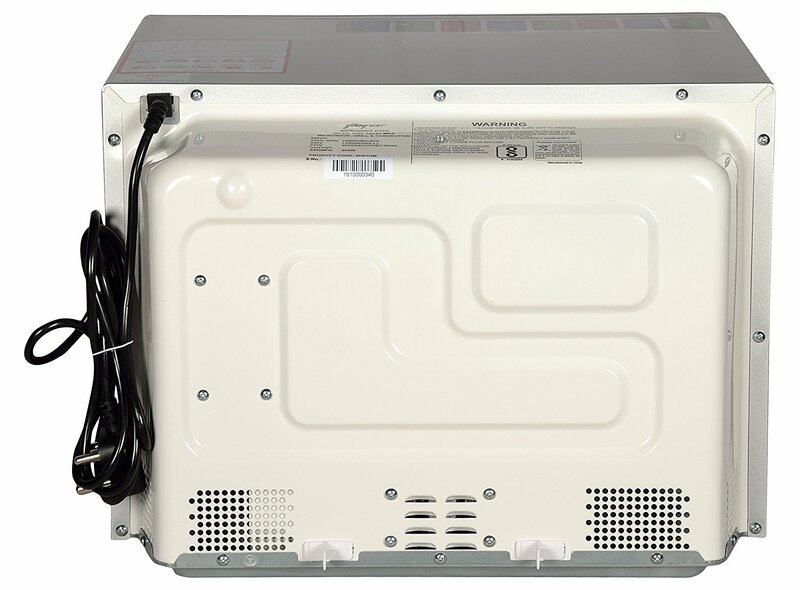 So it is very helpful to keep the microwave oven cavity free from any types of odor. It is also very helpful to increase the life of the magnetron and other electronic parts. 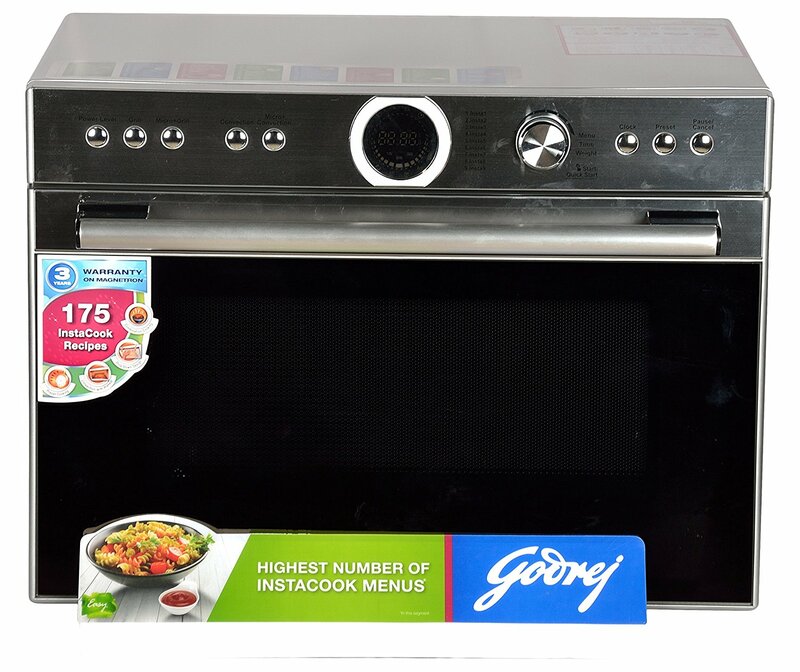 Godrej 34 L Convection Microwave Oven (GME 34CA1 MKZ) comes with auto reminder feature that beeps once every minute after the cooking is completed if the door is not opened.